PALM SPRINGS, Calif. – Freehold Communities purchased the Miralon development on the north edge of Palm Springs out of bankruptcy. The project was dormant for nine years and the new developers want to make changes that better fit the market. This includes an olive orchard, walking trails and other recreational changes. Flinn Fagg, director of planning services for the city, said it is becoming more common for developers to swap out their golf courses for more eco-friendly and recreational options. Fagg says those changes will better fit the marketplace and include less water usage and more attraction for people who do not pick up the clubs. 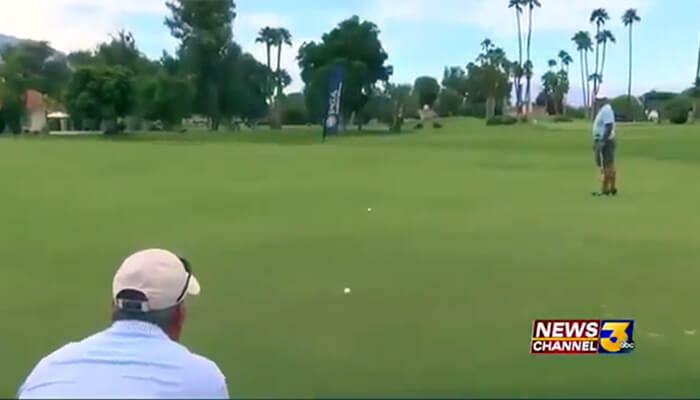 One local golfer told KESQ News Channel 3’s and CBS Local 2’s Katie Widner that he has seen the trend in other places too. “This is happening nationwide where old courses are being eliminated because they don’t make the money.” Robert Hurlbert, 80, said. Hurlburt, who has been golfing for 40 years, said he believes the root of the problem is that younger people are not playing as much. Andro Pelen, 28, who happens to be one of those so-called rare, younger golfers, said he does not quite agree with that. “I think it’s still growing. I think golf is going to keep on growing,” he said. Fagg said there is nothing for people who love the sport, or who are making a living off of it, should be worried about. “Golf has been a long-time amenity here in Palm Springs and I’m sure that we’ll always have golf courses for people to enjoy, but I just don’t think we’ll have as many as we’ve had in the past,” Fagg said. He also said the trend is seen as a positive thing for the community, which will bring other ways for people to enjoy the outdoors.